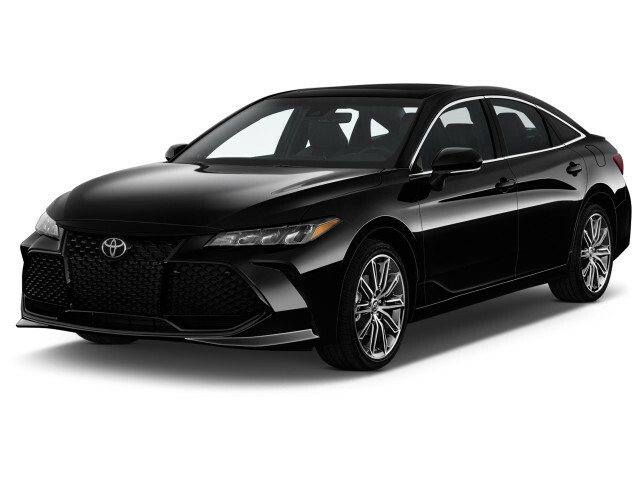 The Toyota Avalon is a four-door sedan that was recently redesigned for the 2019 model year. It's longer, with more rear-seat room, than the Camry—though the two cars share an architecture and some running gear. With the Avalon, Toyota has a flagship sedan to take on vehicles such as the Chevy Impala, Chrysler 300, and Kia Cadenza. Toyota introduced a new Avalon for the 2019 model year. It plans to add a more sporty Avalon TRD for the 2020 model year. A new Toyota Avalon made its debut in 2018 to go on sale for the 2019 model year. It takes some of its styling cues from the Camry and others in the Toyota lineup, but the new Avalon strikes out on its own with a more subdued approach. The new Avalon is incrementally longer than the outgoing model and visually lower for a sleeker shape. The Avalon's wheelbase is two inches longer than the last-generation version, which opens up the interior space more. A 9.0-inch touchscreen is standard, top trim levels get premium audio and wireless cellphone charging. 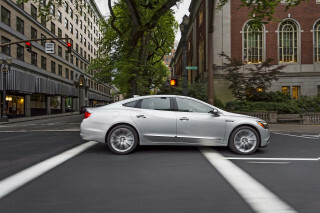 Like the outgoing model, the Avalon is powered by a 3.5-liter V-6 or 2.5-liter inline-4 hybrid powertrains. An 8-speed transmission is standard on all versions, and shuttles power to the front wheels only. Top trims get an adaptive suspension to smother pockmarked roads. The Avalon comes equipped with a long list of standard active safety features including forward collision warnings with automatic emergency braking, active lane control, blind-spot monitors, and automatic high beams. The first Avalon arrived for 1995 and replaced Toyota's Cressida sedan. It was based on the Camry and was assembled at a Toyota plant in Kentucky. 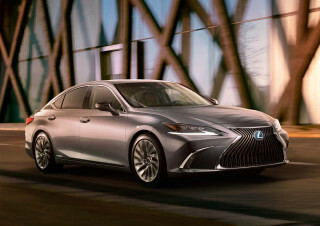 Although it shares a lot underneath with the brand's mainstream family sedan, the Avalon has always offered more in the way of luxury and space, with a lot of features trickling down from Lexus to the Toyota brand and arriving in the Avalon first. Early versions of the Avalon received the same engine as the Camry and looked quite similar to the Camry—if you squinted. A redesigned version, introduced for 2000, changed that. The new version was genuinely roomier and featured options not offered on the Camry, including a navigation system and electronic stability control plus brake assist. At that time, the 3.0-liter V-6 made 210 hp. These Avalon models were extremely smooth and comfortable, but not particularly rewarding to drive. The Avalon was completely redesigned for 2005, with a sleek, very aerodynamic new shape and new 280-hp (later 268 hp) 3.5-liter V-6. Toyota tried to satisfy those who wanted more performance, with a slightly sportier Touring model that included a firmer suspension calibration along with larger wheels and spruced-up trim. In these models, the V-6 and 5-speed automatic shifted almost imperceptibly, in Lexus-like fashion. Their ride was just as composed as in the previous generation, but handling was better—but nothing close to a truly sporty feel. A huge trunk and space to sprawl in the backseat were the Avalon's hallmarks, and layers of sound insulation and acoustic windshield kept it whisper-quiet inside. Offered in a range of models from XL and XLS up to Touring and Limited models, this generation of Toyota Avalon offered more technological features than any Toyota model up until the 2010 Toyota Prius. Rain-sensing wipers, xenon HID headights, remote engine start, and the Dynamic Laser Cruise Control System were all available. Top-of-the-line Limited models received heated and ventilated seats, a smart-key system, power rear sunshade, and high-end JBL sound. This generation of Avalon was recognized for its smooth ride and high build quality. Toward the end of its run, in 2012, it went in for a slight redesign. Changes included the addition of Bluetooth audio streaming as well as a reworked interior with more comfort for rear-seat passengers thanks in part to reclining seats. For 2013, the Toyota Avalon was fully modernized, with a redesign and re-engineering that yielded a sheen of sophistication in everything from its control interface to the way it drives. The sleek, curvy new exterior and bolder interior design—with capacitive controls for climate and audio—are meant to appeal to a relatively younger crowd (of 40- to 60-year-olds) than any previous Avalon. For 2014, all models received a rearview camera, while blind-spot monitors became optional on the Avalon XLE Touring and Avalon Hybrid XLE Touring models. Toyota updated the Avalon in 2016. Styling changes were subtle and include a lightly reworked front end with a widened lower grille, a tighter upper grille, and turn signals moved to the edges of the fascia in place of fog lights, as well as chrome trim for the rear and revised taillights. There are two suspension setups on the revised model: a more dynamic calibration for the V-6 Touring model and a comfort-oriented tune for the rest of the V-6 models and the hybrid versions. 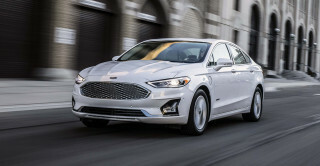 Standard equipment sees a boost in most models, and trim levels are being rearranged slightly, with the Hybrid no longer available in the Touring grade. Slimmer and sleeker now than in the past, the third-generation Avalon was more interesting to drive. 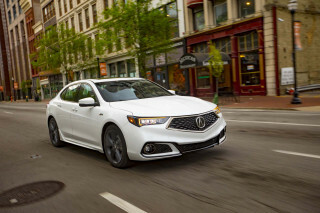 Standout advanced-tech features included rear cross traffic alert, adaptive cruise control, and automatic braking, while the new Avalon gets Toyota's Entune system for running smartphone-based apps, as well as a magnificent 785-watt JBL sound system. The 2013 Toyota Avalon was also the first car to offer wireless charging for mobile phones. The latest Avalon is available in a new Hybrid model for the first time, and based on early drives we found it the most compelling package. With a combined output of 200 hp (from a 2.5-liter 4-cylinder engine and Toyota's Hybrid Synergy Drive system), the Avalon Hybrid accelerates quietly and confidently, while returning an EPA rating of 40 mpg city, 39 highway, 40 combined. We saw roughly 40 mpg in a real-world test drive. The Avalon has an excellent reputation for safety reliability and has held its resale value well. But in recent years, the model's price has increased. A new Avalon Limited can reach beyond $40,000, well into luxury territory, where the related Lexus ES anchors that franchise. Beautiful,safe smooth riding car never feel a bump in the road. Quiet and very comfortable. This is my 6 Avalon (2008, 2009, 2011, 2013, 2012) and those are in order. You'll notice I had a 2013, which I quickly (3700 miles on it) traded for a new 2012. I traded because the 2013 was Rough, loud and... This is my 6 Avalon (2008, 2009, 2011, 2013, 2012) and those are in order. You'll notice I had a 2013, which I quickly (3700 miles on it) traded for a new 2012. I traded because the 2013 was Rough, loud and uncomfortable, I can say, that they have done a great job of getting it close to what earlier Avalons were known for, Smooth, Quiet and Comfortable. There are things I and my passengers would like to see brought back, the reclining rear seats for one, although those who have experienced the heated rear seats, like those a lot, and if they had to give up one for the other, it would be a tough call. I would love to see a bigger Nav screen, and easier talking direction to use the system. I for one, think a simple command of "New location" seems pretty easy, but it's not one of eh commands that works. The Sirus radio fades in and out more then I'd like, and the HD service (weather and traffic app's) don't work here. Now these are all small issues that I'd like to see changed / fix, but none make me wish I hadn't traded or purchased the 2016 LTD. I (Almost) love the car - maybe an 7.5 or 8 out of 10. I did order the car special, with all the bells and whistles. These included the optional 17" wheels, Illuminated door sills, Mats & Carpets, Door moldings, door edge guards, bumper appliqué, lower body panel chrome trim, Blue with Tan interior. I can say, to anyone who tried or has a 2013 - 2015 Avalon, this model is Much nicer, smoother and quieter, IF these are issues for you.